JP Sears is an emotional healing coach, YouTuber, author, international teacher, speaker at events, world traveler, and curious student of life. His work empowers people to live more meaningful lives. JP is the author of “How To Be Ultra Spiritual.” He is very active with his online videos where he encourages healing and growth through his humorous and entertainingly informative videos, including his hit Ultra Spiritual comedy series, which has accumulated over 100 million views. You can learn more about JP and his work at AwakenWithJP.com. Who Is JP Sears In Real Life? 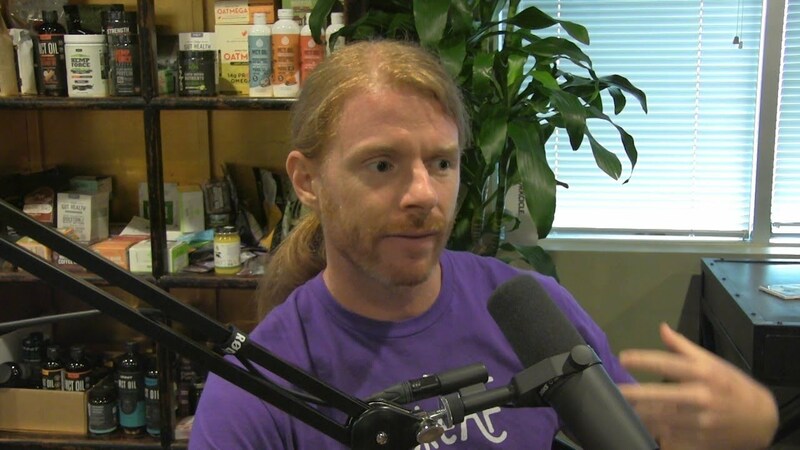 It’s hard to take a guy who wears a lace headband and a purple orchid in his hair seriously, especially when he’s telling you how to become gluten intolerant and “ultra spiritual.” And if you’re confused whether JP Sears wants you to believe him or not, that’s just the way he likes it. Gluten-Free Flatbread With A Mediterranean Twist We’re not scared of gluten, but an allergy to wheat or intolerance to this wheat protein can prevent some from enjoying delicious foods like sprouted grain bread and whole wheat pasta. Luckily, there are plenty of gluten-free whole foods that create similar flavor profiles. The Aubrey Marcus Podcast #107 My Ego Is So Much Smaller Than Yours, Bro with JP Sears _Jul 12, 2017 The high priest of spiritual parody drops out of character to discuss transparency and dismantle identity in one of my longest conversations to date. Dive into some meaty food for thought from the real person behind everyone’s favorite conscious funny guy. I thought Shroom Tech would make me hallucinate more. Maybe it’s just because I have a high tolerance to magical fungi, but I wanted to see more kaleidoscoping sacred geometry. On the plus side, it did give me tremendous energy and mental clarity. At a deep level, because I’ve always been a pansy, having a strong alpha presence has been a long time dream of mine. I found that the most effective way to achieve this dream has been to use products with the word Alpha in their name. Alpha Brain comes through and delivers for me big time. It contains more Alpha in its name than any recommended daily allowance could ever comprehend.